Working Out Loud is one of the most crucial practices for value creation in an enterprise social network. For many, it is also the least comfortable. We need to work at this new practice to deliver value. Working out loud is the core new practice as sharing grows in an enterprise social network. When the conversation moves from sharing personal information to sharing work, value for the individual and organisation rises dramatically. That sharing is critical to the maturity of value creation in an enterprise social network. Without sharing of work, you hold back the benefits from other forms of work collaboration. working out loud invites community to form around people and their work enabling others to help, share knowledge and make work easier. working out loud exposes the work which allows for better strategic alignment, reduced duplication and importantly recognition of the great work underway. working out loud enables role modelling of transparency, vulnerability, learning, agility and experimentation. working out loud by leaders can change the leadership dynamic from one based in control and expertise to one that leverages networks and collaboration. 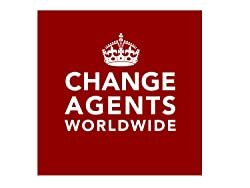 If your organisation wants help building a culture of working out loud, Change Agents Worldwide is a great place to start as it is a team of practitioners who both practice and help others with working out loud. 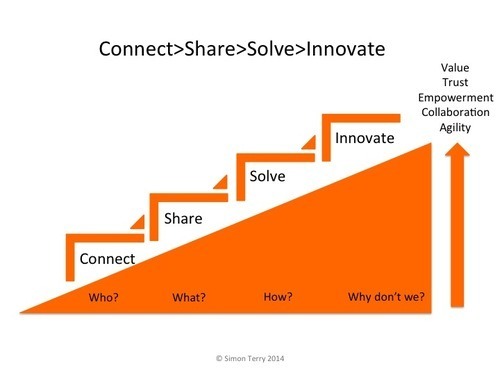 By simongterry in Collaboration, Working out loud on 25/05/2014 .